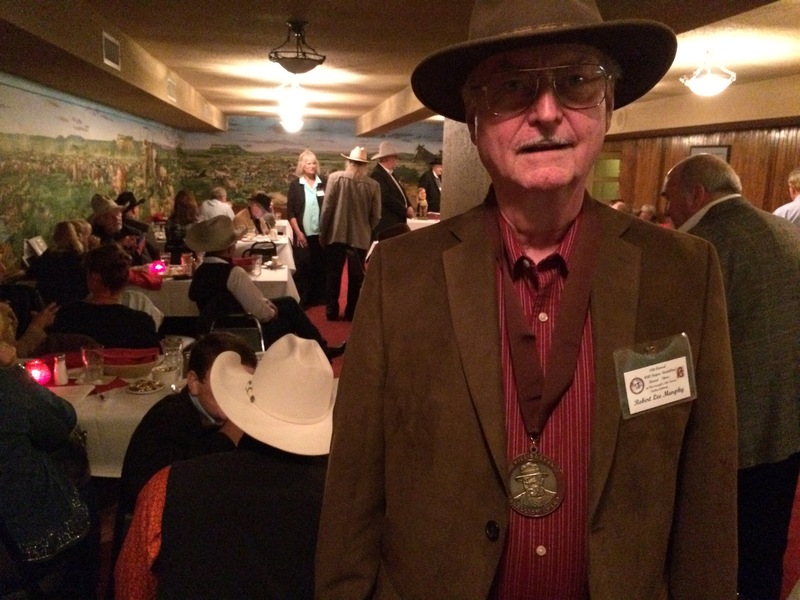 On October 24, 2015, my novel Eagle Talons, The Iron Horse Chronicles–Book One received the Will Rogers Bronze Medallion Award for 2015 Western Fiction for Younger Readers. 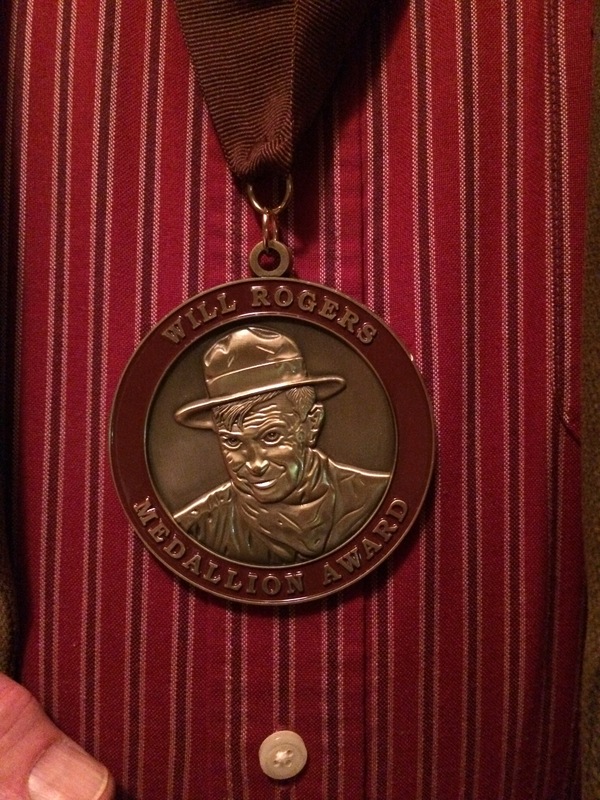 The Will Rogers Medallion Award Committee’s mission statement adheres to the goal of bringing “outstanding Western Media and Books to the general public in an appealing and accessible manner and with high quality publication values that invite readership in competition with other forms of literature.” Awards were given this year in thirteen categories. You can learn more about the awards and peruse a listing of previous and present winners at: http://www.willrogersmedallionaward.net/#!award-history/cnnz. It may take a few days for photos and information about this year’s winners to appear, so keep checking back. A fun part of the festivities, preceding the presentation of the Will Rogers Medallion Awards, provided finalists the opportunity to offer their books for sale to the public at Red Stegall’s Cowboy Gathering Trade Show in the historic Fort Worth, Texas, Stockyards. 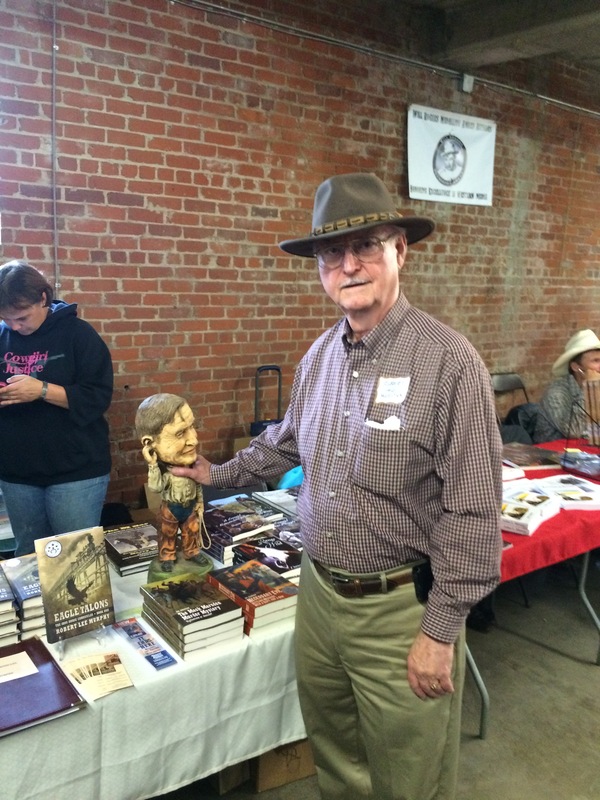 Here I am rubbing Will Rogers’ shoulder for good luck, since he’s standing next to my book Eagle Talons. Maybe it helped, because at that time I did not know I had won an award. The world-famous Cattleman’s Steak House in the Fort Worth Stockyards provided the appropriate venue for the banquet and awards presentations later that evening. If you haven’t eaten a Porter House steak at the Cattleman’s, you’ve missed out on a truly, buttery, first-class piece of beef. But I digress. Remember that Bear Claws, The Iron Horse Chronicles–Book Two will be released by Five Star Publishing on November 18, 2015. 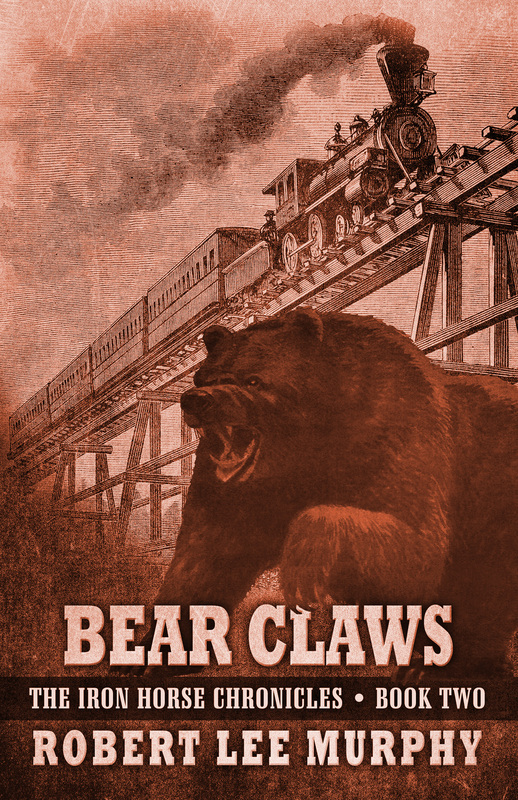 Bear Claws is now available for preorder from Amazon.com and from Barnes & Noble. Follow the links in the right sidebar of this website to take you to the places where you can order the book. I assure you that I will submit this second volume in The Iron Horse Chronicles to the Will Rogers Medallion Award Committee for consideration in their 2016 competition. This entry was posted in Bear Claws - Book Two, Book Awards, Book Signing, Eagle Talons - Book One, The Iron Horse Chronicles, Writing and tagged Adventure Fiction, Bear Claws, Eagle Talons, Five Star Publishing, Historical Fiction, Middle Grade Fiction, Teen Fiction, The Iron Horse Chronicles, Western Fiction, Young Readers. Bookmark the permalink. That is so cool! Congrats. I’m happy to say I know you! Thank you, Bo. I’ll be posting details on the release of Bear Claws soon. Congrats on your Will Rogers Award Robert. Looking good! Thanks, Mark, I appreciate the congrats. Congratulations, Jack is looking forward to reading your next book. Thanks, Carol and Jack. Book two is available November 18th. Kudos to you, Robert. Well deserved and I look forward to reading the 2nd of the 3. I love your style of writing, so easy and descriptive. Always feel as though I come away from reading your books a more well rounded and informed individual. I love history and you have increased my love of our past. thanks so much. Thanks, Nancy. Your support of my writing is really appreciated.